It be would the ideal morning commute—sit back, drink some coffee, and read the news as your car drives you to your destination. That reality isn't quite here yet, but Cadillac is offering something close with "Super Cruise" on the CT6. Cadillac's 2018 CT6 will release in the fall of 2017, sporting this semi-autonomous "Super Cruise" mode. While not Cadillac's first dip into ADAS (advanced driver assistance systems), Super Cruise will feature automatic lane centering, which will give the car much more autonomy on the highway. However, Cadillac isn't releasing Super Cruise without some very specific safety features. Because this isn't true driverless technology, Cadillac requires the driver to remain alerted at all time. Cameras and sensors inside the vehicle can detect where the driver's attention is focused. If the system determines the driver's attention is not on the road, the car will warn the driver through a series of audible and physical signals. If the driver cannot take control of the vehicle, as in the event of a medical emergency, the car can pull to a complete stop and call OnStar to request assistance. Unlike other semi-autonomous vehicles such as Tesla cars, the 2018 CT6 uses LiDAR technology like in full driverless vehicles. 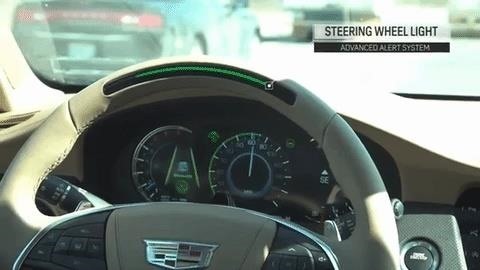 This, paired with what Cadillac claims is a GPS four to eight times more accurate than what is standard, provides a high-performing autonomous experience. Cadillac has also taken great pains to gather as much detail from the highways in the US and Canada as possible, to ensure maximum performance. Super Cruise will know every curve and elevation change along the road, and can prepare for these discrepancies along the drive. If you're looking forward to driving everywhere with Super Cruise, we're not there yet. Cadillac has made sure to only allow the feature on highways. While disappointing, the tactic makes sense; this technology is still new, and public opinion about it is mixed at best. Cadillac appears to want to slowly ease people into driverless cars, and with how they've crafted the CT6, it might just be what the public needs to get on board. News: Top Gun 2 Starring Tom Cruise? News: Tom Cruise is always running in his films.